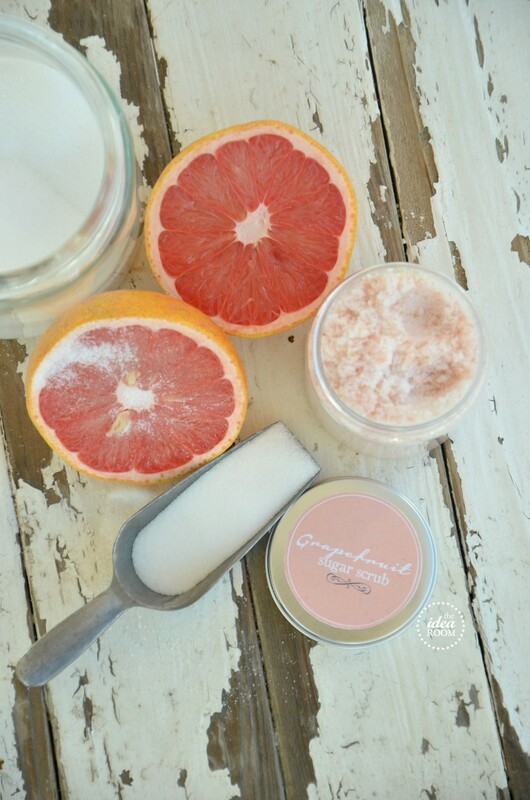 There are a few things that I get obsessed with…right now it’s Grapefruit. I am LOVING it! It is perfect right now. I have always been obsessed with citrusy fruit and the scent of citrus. It smells so fresh and clean and makes me feel happy and invigorated. 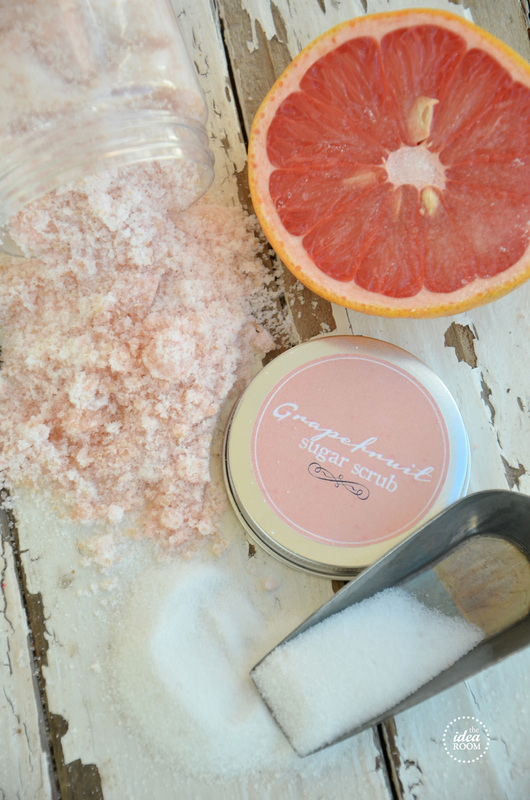 You know how much I enjoy making my sugar scrubs and I had yet to make one with Grapefruit…so here it is ;)! Mix the sugars together and slowly add the almond oil until you reach the consistency you like. I like my scrubs less oily so I always use less than a 1/4 cup. Add Grapefruit Essential Oil, food coloring and Vitamin E if adding. Mix thoroughly and store in an airtight container. Good for up to 3 months if kept bacteria free. To use: Rub a little bit of the scrub on your body or between your hands with a little bit of water. Rinse with warm water to remove excess oils. It will give your skin a nice exfoliation and leave your skin feeling soft and smooth and smelling fresh and clean. Great for use in the shower or bath and before bedtime. I, of course, want you to have these fun labels to add to your own containers. 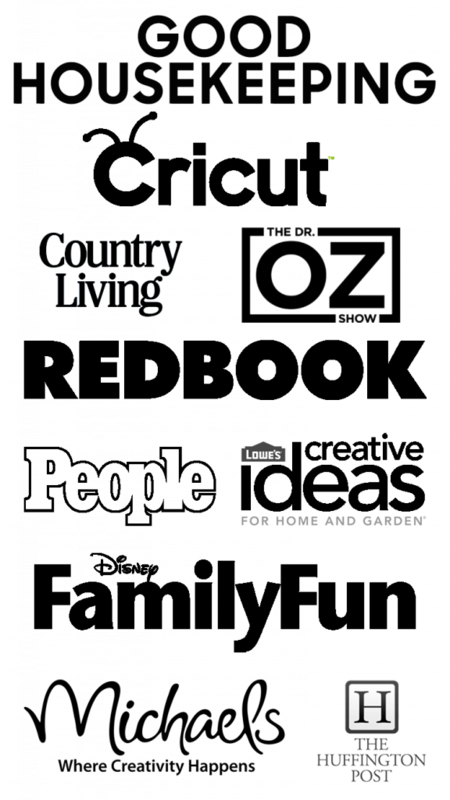 I have made them available as a free download to get them you will need to read these directions very carefully. *I only offer then through Facebook due to misuse of my free labels and copyright due to people selling them or posting as their own. Sorry about that. This looks so refreshing! Can’t wait to try it! Pinning! Thanks so much for the pin Jamielyn!! I love that! 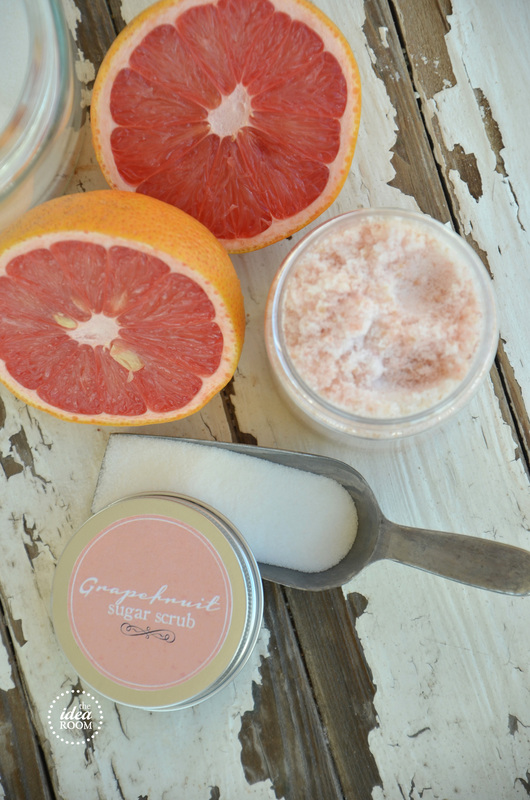 Grapefruit is one of my favorite smells! I love anything citrus… I must try this! Me too Desiree! I hope you do and love it! I love grapefruit and I love your scrubs. Hello heaven!! Thanks so much Mique!! It does smell amazing! Looks interesting but I think you meant it will leave you smelling like Grapefruit and not like Lavender, right? Yep. I must have had that on the brain after I had to link back to my Lavender scrub for the post. Thanks for catching that. I fixed it! 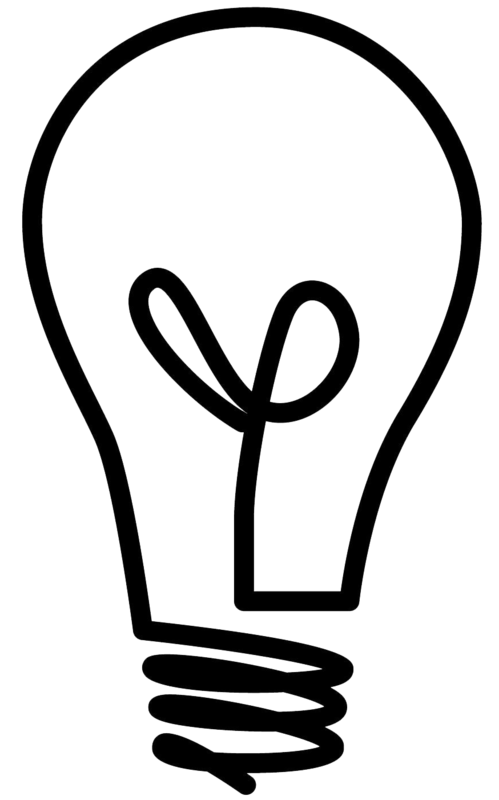 Looks like something that I could make and would love to use. 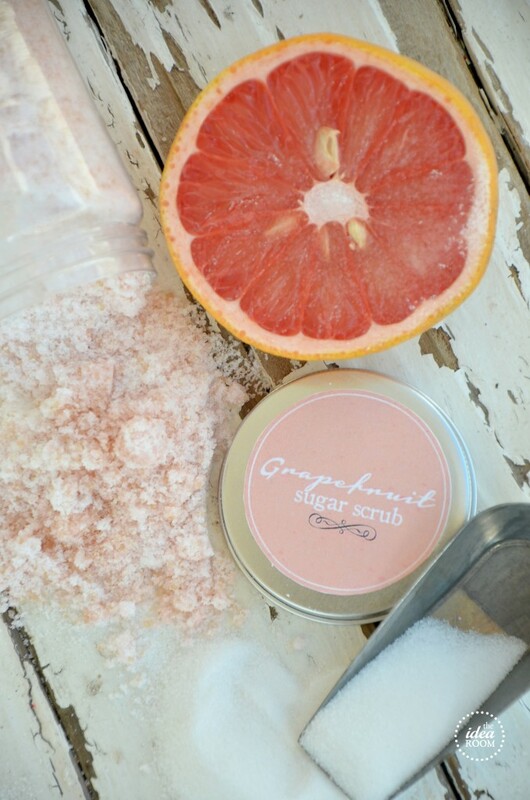 I love grapefruit scented soaps, so I bet this would be devine! I must try this! 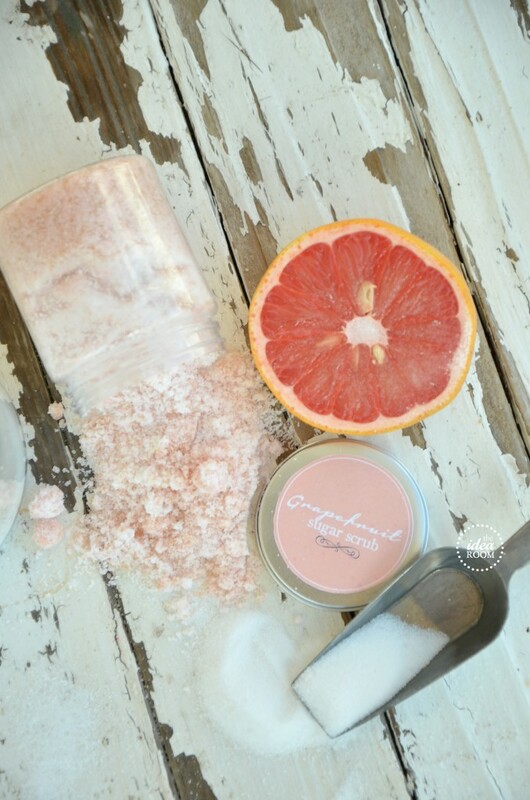 I love anything citrus and I can imagine this smells amazing! This is soo pretty, I can almost smell the grapefruit! I love me some sugar scrub! i can only imagine how good this must smell! 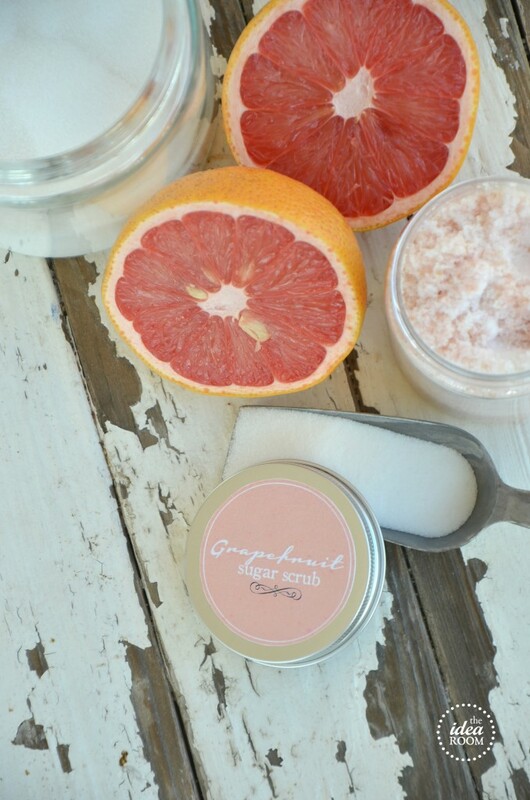 LOVE the smell of grapefruit! I should be able to figure this out, but am struggling today. How much does this make? I am wanting to use this recipe for a large group, but will be putting them in 4 oz jars. How many 4 oz jars would this recipe make? Any help would be awesome, as conversions give me mega anxiety! I am loving all your DIY Spa items and would love to make gifts for my girlfriends; however, I am not on Facebook and do not plan to ever be. Is there a way to get your labels without FB? 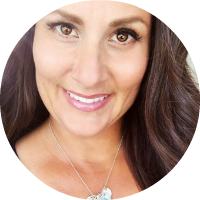 Is there any substitute for essential oils? I don’t have any and can’t afford to buy any. I need mainly citrus ones (grapefruit, tangerine, lime, lemon) I would appreciate it as well as substitutes for any other kinds! Thanks! You could use extracts but know that their shelf life is not long and they will not be as strong smelling. Thanks for the great recipe! I am having trouble with getting the nice pink color. I used Sugar in the Raw which is very brownish, and regular sugar. I looked online and it says “white sugar” is usually the same as regular cook sugar. Maybe I am missing something? I am a newbie at DIY so any help is appreciated! Raw sugar will give it a brownish tint. If you want a whiter sugar the regular white granulated sugar will work best. where do you make all of your cute labels? i want to learn to make them. please help! I just make them in my photoshop program! You can but it will not last very long. The oils are nice because of their longer shelf life! sometimes it can also resemble pimples. that regardless of their profuse excuses, are solely only for enjoyable. before. So wonderful to discover someone with original thoughts on this issue.